Pablo Eskobarr has been running well without managing to get into the winner's enclosure. Steps up in distance. I'm never keen on taking short odds at the best of times and soft ground is an added dilemma. Interesting to see James Bethell with Edgewood, racing in the familiar silks of David Armstrong. This bay colt is a son of Garswood was entered for the Convivial Maiden Stakes at York but made his debut at Leicester when running a creditable 6th at odds of 16/1. This homebred looked in need of the run on debut. Not the trainer to give significantly entries away lightly so adds to confidence. Likely to improve for that first start and holds each-way claims. David O'Meara fields Blue Gardenia who has run well on both starts and should go well here. Richard Hannon a mighty string of significantly entered juveniles and Fox Power has run three times making hard work of his first two starts when a beaten favourite. Probably showed a similar level of form last time out at Ascot. The apprentice rides to give a handy 3lb advantage. A low draw is good on these turning courses. Looks the best chance to date but may be vulnerable to others. Paul Cole had a decent debut effort run the other day at Kempton. Cool Reflection was relatively fancied on debut when showing little but ran much better second start at 33/1, when runner-up at Newbury. 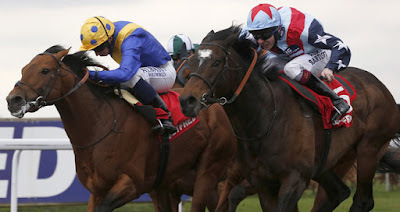 Thrown in the deep end when contesting the Qatar Richmond Stakes (Group 2) at Goodwood. Cole isn't the type of trainer to just give an entry for no reason let alone compete at Group class. Come here after a wind operation. This could be his best chance to date for Mrs Fitri Hay.